Held at London's Alexandra Palace from 4-5 March 2017, the RYA Suzuki Dinghy Show, in association with Yachts and Yachting, is at the heart of British dinghy sailing with something for everyone; young or old, novice or pro, cruiser or racer. The RYA Suzuki Dinghy Show is the only show in the world dedicated to dinghy sailing. It’s a great day out for all the family and offers visitors the opportunity to see the latest gadgets, boats and equipment and get the new season off to a flying start. Visitors can listen to inspiring and informative talks from the sport’s biggest names on the Suzuki Main Stage, attend coaching seminars in the RYA coaching area and interact with a range of commercial exhibitors, RYA-affiliated clubs and class associations throughout the show. Since its launch in 1952, the show has been widely regarded as a vibrant, interactive and fun day out for dinghy sailors and potential dinghy sailors of all ages. 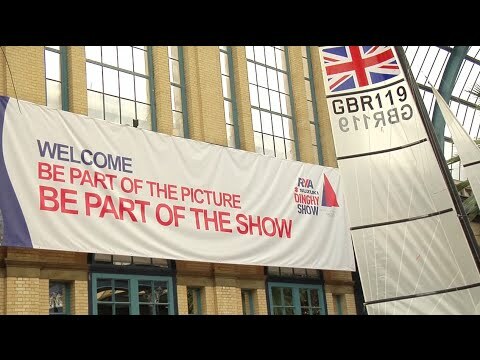 Run by the RYA with the support of its title sponsors and associate partners as a service to its members, affiliates and the sport as a whole, the RYA Suzuki Dinghy Show is packed full of inspiration for all sailors. Tickets for this show go on sale soon. There are dedicated accessible bays in the Grove car park and the East car park in front of the Ice Rink. We also make provision for an accessible shuttle bus in the event that these spaces are full. Guided dogs are also welcome. Disabled visitors with carers/assistants can drop off at the top of the slip road and park in the Grove car park. This event offers a free shuttle bus service and a disabled buggy service to the venue.